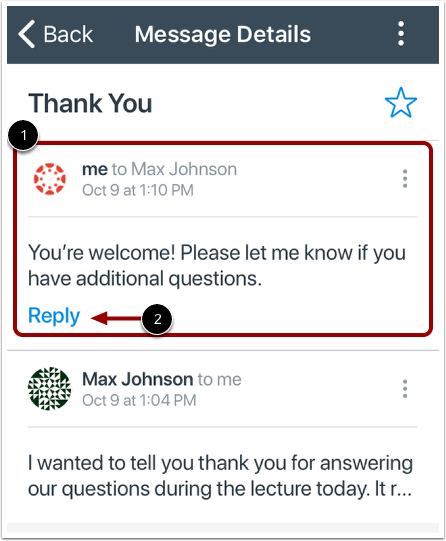 How do I reply to a message in the Inbox in the Teacher app on my iOS device? 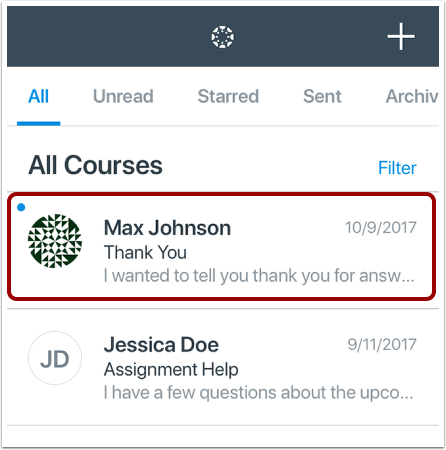 You can reply to Conversations messages in your Inbox on your device so you can keep in touch with your course at any time. In the Dashboard, tap the Inbox icon. 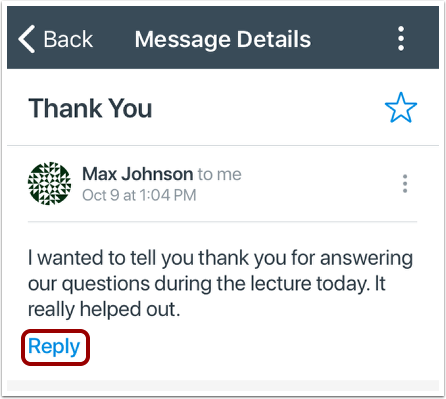 In the text field , type your message reply. When you are ready to send your message, tap the Send link . View your message reply in the message thread. To reply to the message again, click the Reply link. 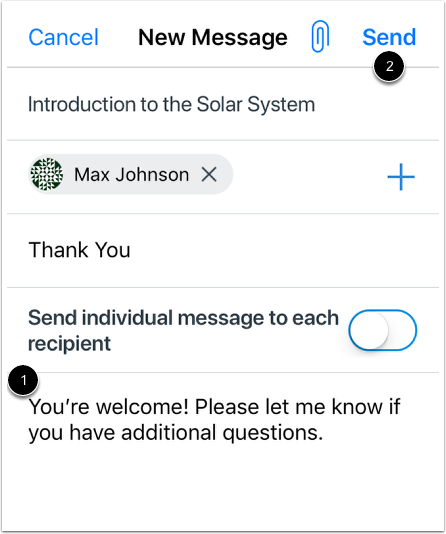 Previous Topic:How do I send a message from the Inbox in the Teacher app on my iOS device? Next Topic:How do I view Announcements in the Teacher app on my iOS device? 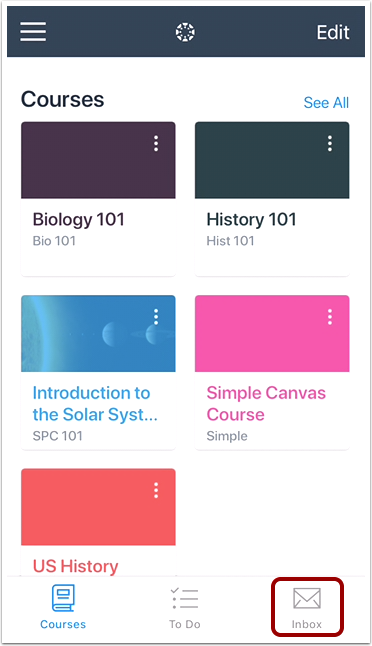 Table of Contents > Courses > How do I reply to a message in the Inbox in the Teacher app on my iOS device?